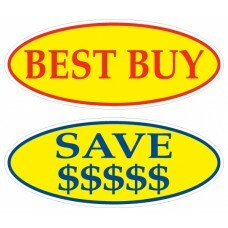 Our windshield slogans are made from vinyl with an adhesive backing that is designed to be able to adhere to the windshield for extended periods of time, yet still be removed without causing damage. 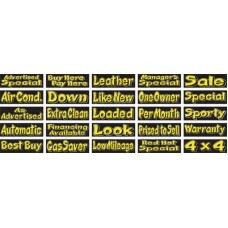 The slogans are printed with vibrant inks in an array of messages geared towards auto dealers. 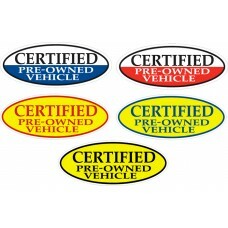 Use slogans to highlight features of specific vehicles on your lot. 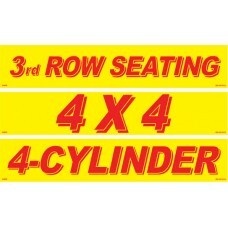 Slogans are sold in packages of 12 and are offered in a variety of shapes, sizes, and designs. 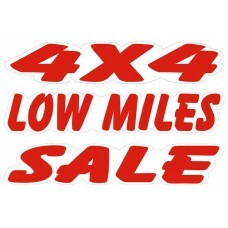 Our most popular size message stickers are the 14 1/2 in. x 2 3/4 in. and the most popular color scheme is chartreuse & black. The 14 1/2 in. x 2 3/4 in. 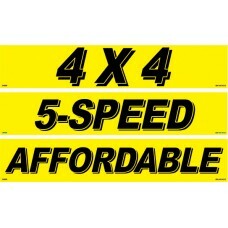 are also offered in blue & white, blue & yellow, yellow & black, and yellow & red. 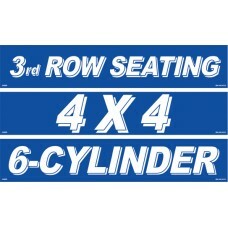 The oval slogans are also extremely popular and are offered in several different color combinations. 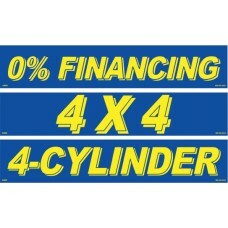 We also offer die-cut slogans, for auto dealerships looking to replicate the look of paint without the mess. 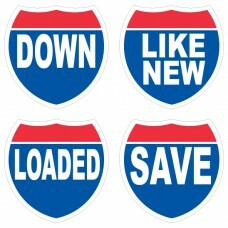 Finally, we offer our interstate slogans which tie-in the automotive theme of interstate signs for a slightly different look.